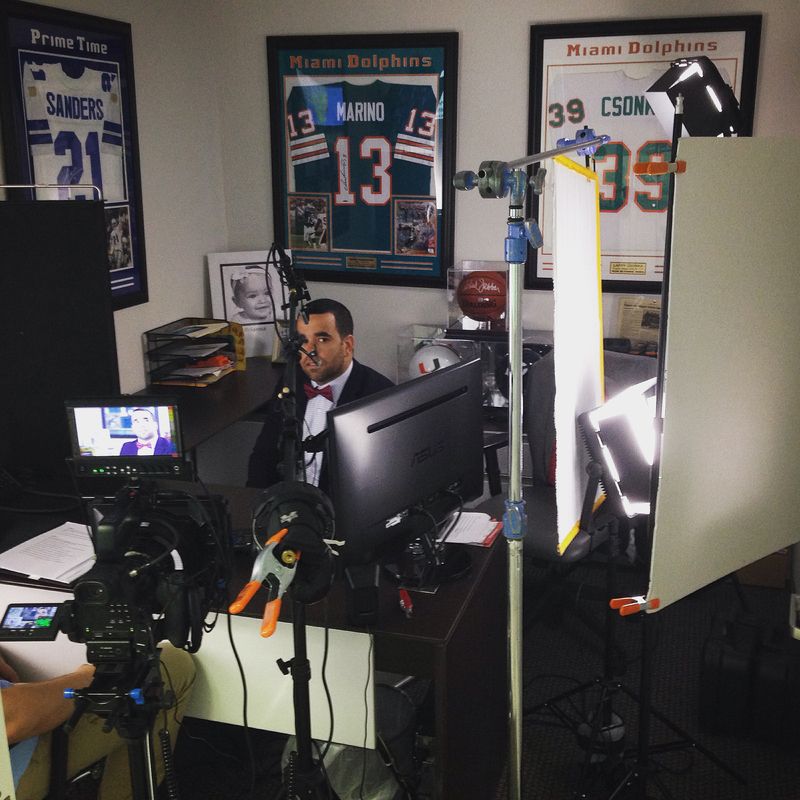 Behind the Scenes – Interview Setup | Miami Video Production by Black Label Films. Setup for an interview in a very tight office space for a commercial video. GreenTeam Inc. required a new promotional video to really showcase the company’s strengths. 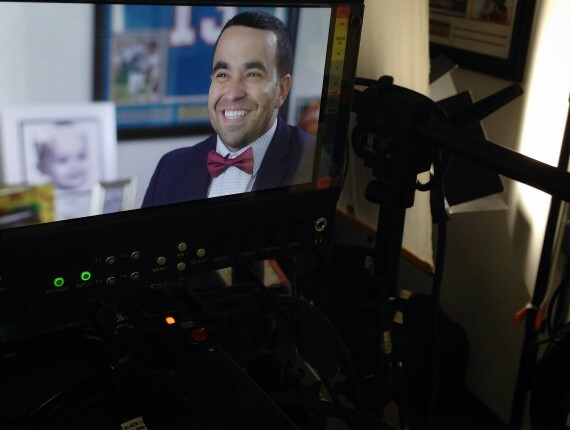 After several pre-production meetings we decided the best approach would be a video driven by interviews. We produced this trailer (as well as a full film) for the 90th anniversary celebration event for the City of North Miami Beach. This was a very tough interview situation, given the noise of animals (pet hospital), the size of the space, and the lighting and background. Add to that the fact the interview needed to be two people at the same time and we had to get creative within the tiny exam room made available to us. 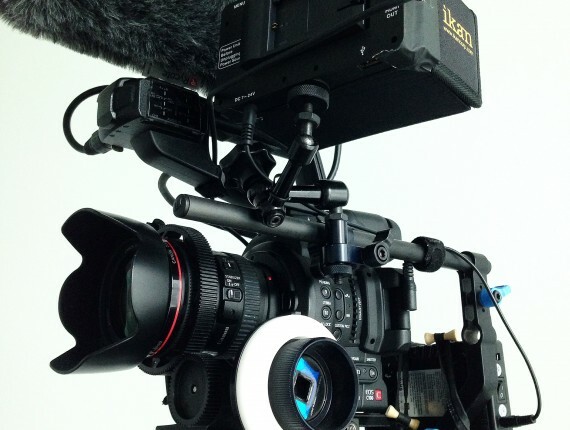 A closer look at the camera setup we used for our shoot with Facebook. 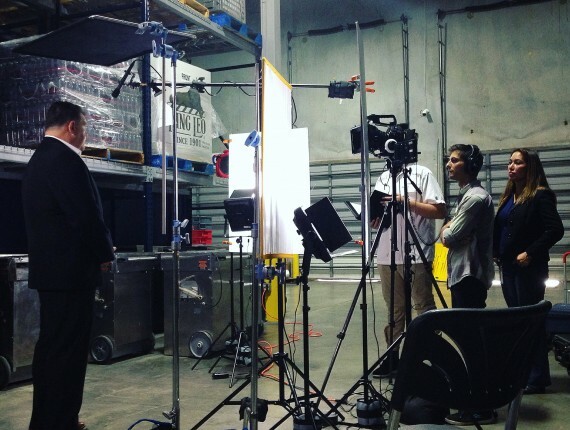 Conducting an interview in a warehouse; managing a slew of lighting and audio challenges for a perfect result. The finished video we produced for DynaTrap of their donation day in Miami, filmed with a behind-the-scenes style to lend a less corporate feel to it. The resulting shot for a commercial video from an interview setup in a very tight office space.